To assess and meet the needs of students of color by implementing programs, events, and dialogue in a community-centered space. Fostering community for students of color. Today, the Black House remains one of the few dedicated places on campus where all students of color can gather to talk about issues, and meet one another. Black House residents are encouraged to design programs to promote, foster and acknowledge diversity and community on campus. Examples of programs include weekly Hour Glass discussions on topics relevant to the community, a voter registration program, a panel on the impact on the Latino Vote, a workshop on developing a self-brand, and a dance workshop partnering with Groove Theory to name a few. Over the course of the year, the Black House residents host several programs for all students to participate in. Minority student organizations are encouraged to utilize the house for club meetings and for social events. To reserve the house, please use the Black House Request Form. Sign up for our weekly newsletter! The Black House residents of the 2018-2019 school year seek to honor the legacy of resistance of past Black House residents and our ancestors throughout the African diaspora. 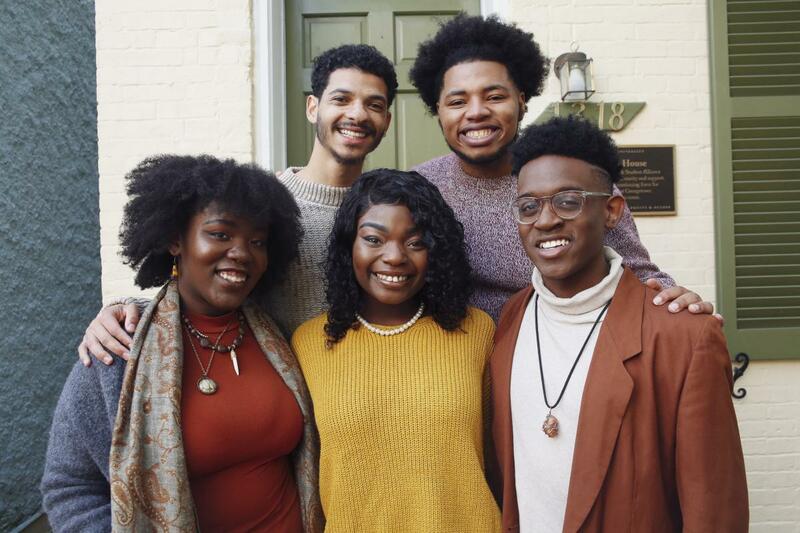 In working to address the failures and shortcomings of Georgetown in supporting communities of color, the Black House will serve as a space to organize and empower Black students, workers, staff, and faculty. The Black House also aims to stimulate solidarity with other communities of color on campus and in the broader DMV area. 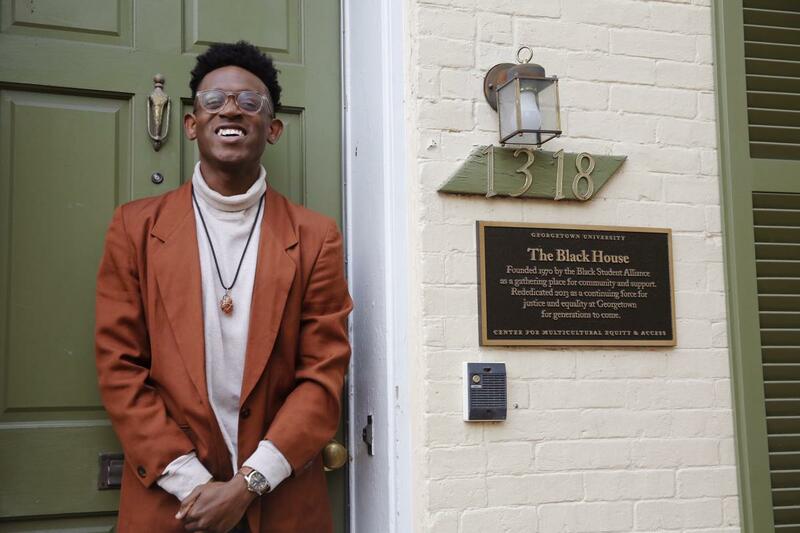 Black House hopes to promote wellness and healing by working from a place of love and humility. We recognize the diversity and intersectionality that exists within the Black experience and will celebrate and center historically marginalized identities of our community. We will achieve our mission by being active and accessible, and through innovative programming and dialogue that responds to the needs of our community. We hope to foster a space where the true radical potential of Black joy, love, and unity can be realized. Kendell is a senior from Dallas, TX. This year he is excited to be serving as the Resident of the Black House. 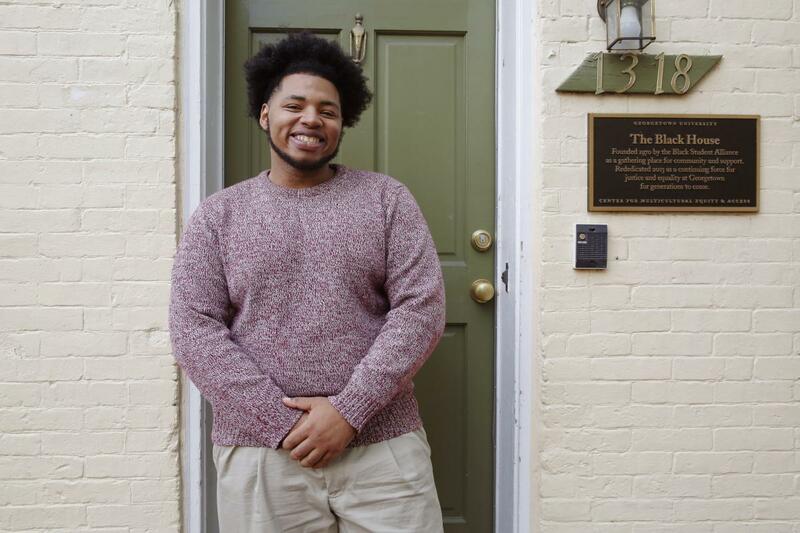 “The nearly 50 year legacy of the Black House rooted in resistance and affirming Black existence on campus is really what drew me to apply to live in the house” On campus he also serves as Co-President of GU’s NAACP, and has been involved in various CMEA programming such as YLEAD and LEAD. He is a double major in Government and African American Studies. Kendell is invested in listening to and amplifying the stories or marginalized people and looks forward to bringing this to my work at the Black House. Intellectually and personally Kendell is interested in the ways that Black peoples have created counter cultures in systems and spaces they have otherwise been excluded. Please stop by and see us at Black House, you’ll likely find us there cooking, playing spades, or listening to easy 2000’s throwbacks. I look forward to seeing and engaging with the community around campus and specifically in Black House. Micheal Whittington is a Senior in the College from Trenton, New Jersey. He is majoring in biochemistry with a minor in Japanese. A big personality with a love for music and anime, his presence around campus was always announced before he was thanks to his speakers. He is friendly and eager to engage with people, and has a talent for connecting people of similar skills and backgrounds. He surrounds himself with a plethora of friends who exemplify black excellence. Since coming to Georgetown, he has aligned himself with organizations that seek to uplift the Black community, especially Black women. 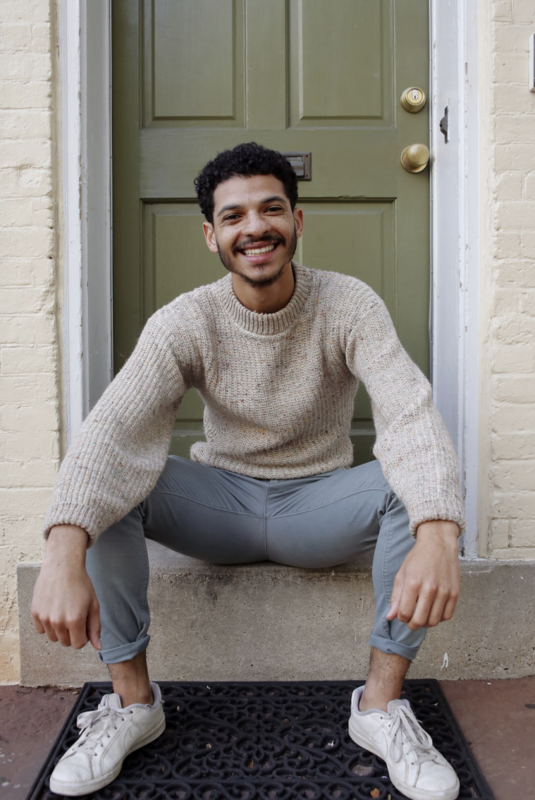 As a resident, he has sought to bring conversation to the Black House that has uplifted Black friendship, Black love, and Black queer identity. He hopes to continue creating space for these dialogues in 2018-19 academic year at Georgetown and is excited by the prospect. 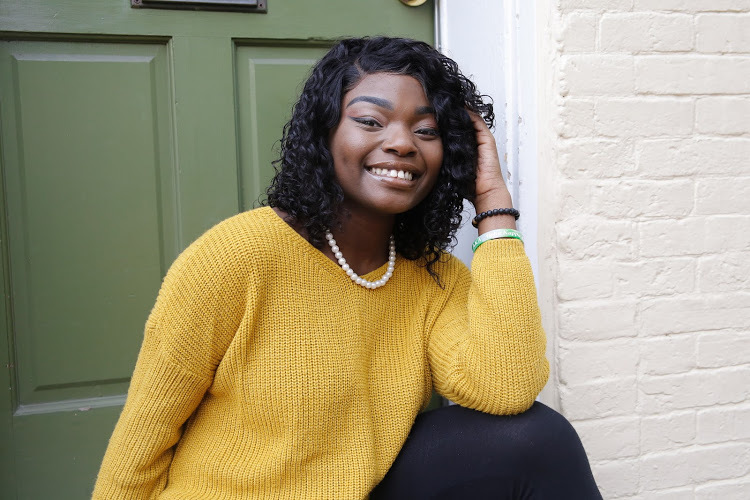 Taylor is a Junior in the School of Nursing and Health Studies originally from Norfolk, VA and now residing in Richmond, VA. Majoring in Healthcare Management & Policy on the Policy track with a minor in Women’s & Gender Studies, she has a passion for creating space to consider wellness and health in fresh, intersectional, and dynamic ways. She was introduced to Georgetown through the CMEA’s YLEAD Pre-Orientation Program which led her to other social justice spaces like YLEAD’s parent group LEAD, GU NAACP, and ONE DC through the Kalmanovitz Initiative. 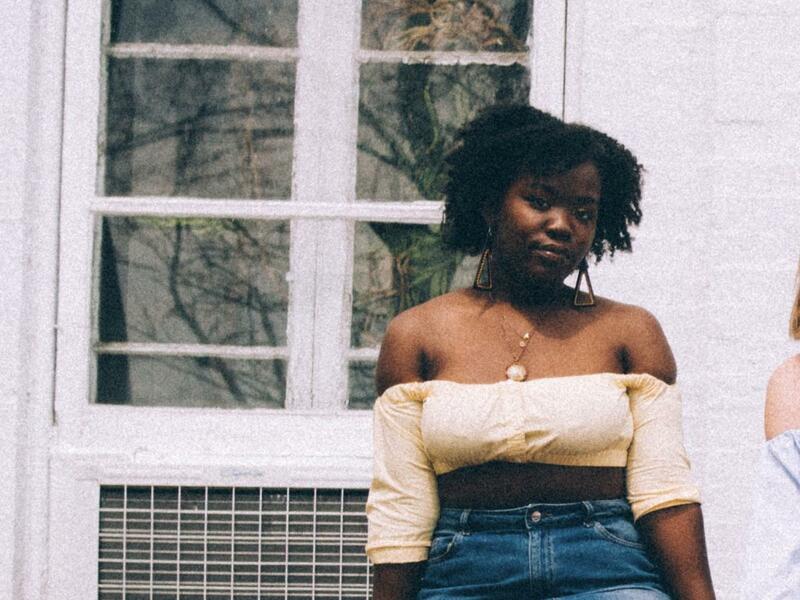 During the year, you can catch her making semi-elaborate meals completely supplied from Trader Joe’s, every other month in Yates, or working in Georgetown’s Health Education Services Office (you should drop by!). She is very excited to have the privilege of facilitating community, mutual understanding, and healing for the diverse Black community on campus. Morgan, a Junior in the School of Nursing & Health Studies, calls Atlanta, Georgia home. Majoring in Nursing, Morgan hopes to one day combine her love of the profession with her passion for sexual assault and interpersonal violence prevention work and with the continued need for issues of diversity & inclusion in spaces like healthcare—it sounds like a hefty mouthful, but in due time, she’s confident that she’ll be able to mold a position that speaks to her through and through. Upon her introduction to Georgetown, Morgan participated in the pre-orientation YLEAD, which lead to her serving as Peer Leader the following year. You can also find her working in Health Education Services and advocating for and providing facilitations on behalf of SAPE. Otherwise, in her free time, Morgan loves to get lost in the world of books and treat herself to the occasional concert (okay, maybe more than the occasional). Morgan is excited to continue cultivating The Black House’s initiative as a safe/brave space for folks of color on campus whilst diving deep into the dialogue that uplifts so many voices, some not often heard. Carrying with her the people and relationships that made Georgetown feel like home, she hopes to foster a similar space for others and encourage you that your place at here is by no mistake. If you ever feel like chatting her up, she’ll welcome you with a smile and open arms; you can even get bonus points if you ask her about her semester abroad in Sydney, Australia. Odunayo is a senior in the college majoring in Government and double minoring in Spanish and Philosophy. She has lived in New York, Maryland, and Pennsylvania, but feels the most at home in DC. Odunayo gets joy from helping the community and bettering others. You can catch her performing on the Cooper Field and the Capital One Arena as a Georgetown Cheerleader! She now serves as the President of the Minority Pre-Law Association and is also a member of the Omicron Pi Chapter of Alpha Kappa Alpha Sorority, Inc. In her free time, she enjoys dancing with Groove Theory and watching TV. Be sure to drop by the Black House one day and meet her! Kuma is a biracial Nigerian American from Brookfield, WI. He is a Junior in the SFS majoring in International Political Economy with a minor in African American Studies. He hopes to use his work to contribute to the fight against extreme global poverty. On campus, Kuma is the Vice President of Programming for the Black Student Alliance and on the board of the African Society of Georgetown. He is also a mentor in the Male Development Association. Kuma loves food so he is always looking for recommendations on new restaurants to visit. 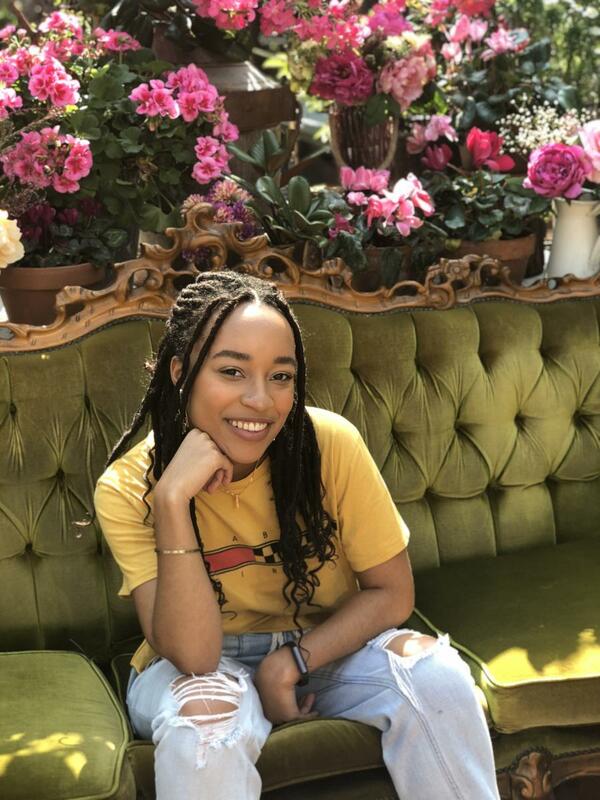 As the SOCA Rep for the Black House, Kuma is looking forward to working with other minority groups to make our campus safer and more uplifting for marginalized communities.